Our Foundress, Rev. Mother Annammal was born in 1836 at Varaganeri in Tiruchirapalli in Tamil Nadu, India. Owing to cholera, many young girls, including our Foundress, were widowed. The young widows were subjected to innumerable tortures and treated worse than slaves by their families. They were denied the basic human dignity, completely neglected and oppressed by the society. The society didn’t permit them to remarry. 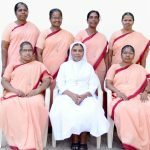 Mother Annammal had a deep God experience and heard the Divine Call for a very special mission to work for the welfare of poor young women, particularly widows, to uplift their lives and social status. Mother Annammal was courageous to face the society and her intention was only to found a Congregation for the widows. She courageously went about begging for the sick and the needy, educating the little ones and praying with the Sakkiliar community. Inspired by her spirit of selfless service, many young widows joined her. As the number grew, she approached the Bishop of Tiruchirapalli Most. Rev. Alexis Canoz S.J.to start a community for the widows. Due to financial difficulties, the permission was denied. But she assured His Lordship that she would not ask for any financial assistance and begged for permission which was granted later. 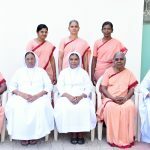 The vibrant and burning urge of a single woman sowed the first seed for starting the Congregation of the Sisters of St. Anne of Tiruchirapalli. Totally relying and fully trusting in Divine Providence, Rev. Mother Annammal founded the first community with four widows on 2 February 1858. The first community led a simple life in a mud hut, prayed together, earned their daily bread by manually hulling the paddy. 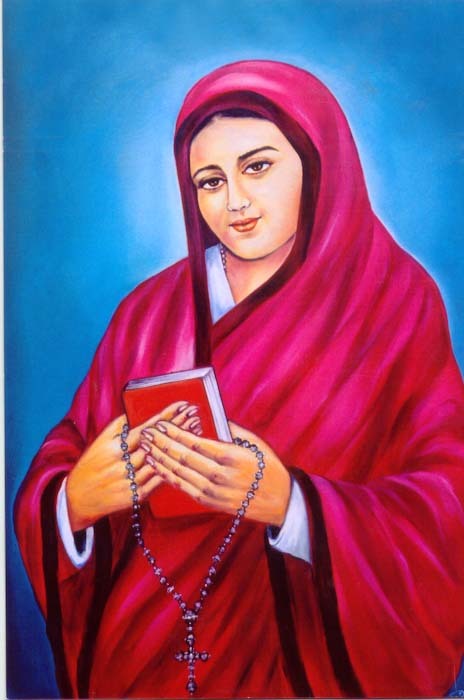 The power of the burning spirit ignited by our Lord Jesus in the heart of the Foundress, Mother Annammal, was the root that made a marvellous beginning of social reformation unprecedented in the history of Indian womanhood. By her ministry among the poor, the sick, the weak, the destitute and the downtrodden young women, she discovered the face of God. She totally relied on God’s grace and power and not on her capabilities, which inturn has borne bountiful and good fruits in the annals of the Congregation since 1858. With the support of the local Church, the Congregation’s ministry expanded in several Dioceses in India and in Foreign Countries.